We are excited to help you save during this year. 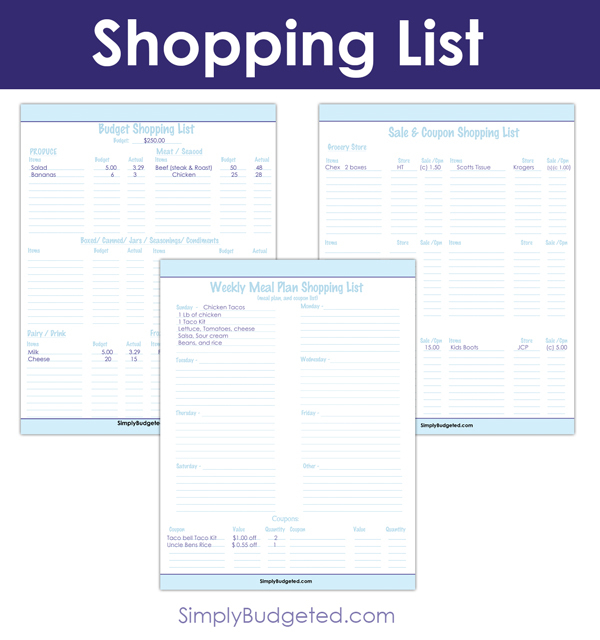 We are going to try to feature a few printables here at Simply Budgeted and would love your feedback on them! The first three are a Budget Shopping List, a Weekly Meal Plan Shopping List, and a Sale & Coupon Shopping List! Which printable do you think will be the most helpful for you this year? Leave us a comment and let us know! 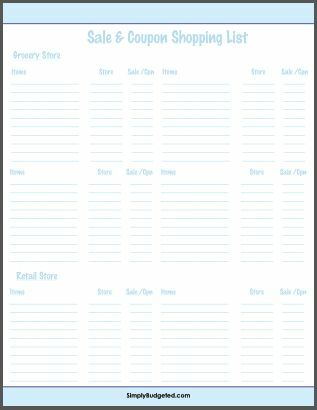 I think the sale and coupon shopping list would be the most helpful for me, I sure could get more organized. 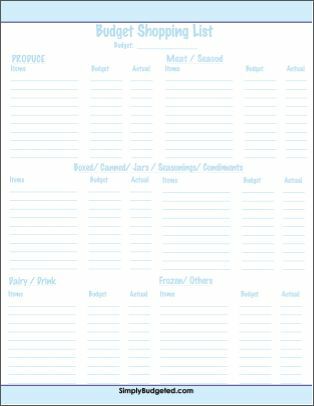 I don’t meal plan bu have always wanted to, so I think the Weekly Meal Plan Shopping List would help me in getting started on meal planning. As soon as I get a printer I am printing these to try!!! I love that Weekly Meal Plan list!! I have most of the pricing info in my mental databanks… but always seem to forget to buy something everytime I go. A list would save me in gas money…lol. I really should try to use the Budget Shopping List. I kind of have an idea in my head of what I pay for things, but it would be nice to track how much I spend and the prices so I really know when I find a great deal. Ooh. Thank you for this. 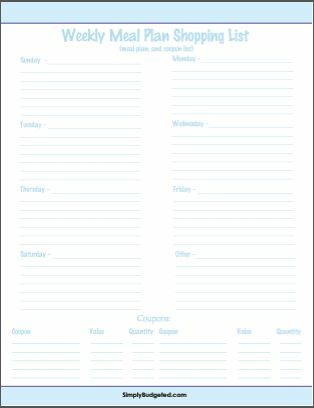 This will be very helpful with staying organized. Thanks! Those are super helpful! We seldom plan very far in advance but these look like they would help us prepare better! Thanks for the wonderful printables! I love these lists, all of them, especially the meal planning list because it’s what I really need to focus on BEFORE I do my shopping, in order to help pare down our heinous grocery bills every month! That’s a really good idea to track prices. There are very few items I have a price mark for in my head, so this would be a wise move for me. I live by lists and these all look really awesome. I think it’s so important to track prices of items to make sure you’re getting the best deal. I love making lists. I need to be better at making meal planning lists. We love using coupons to save on our grocery bills.